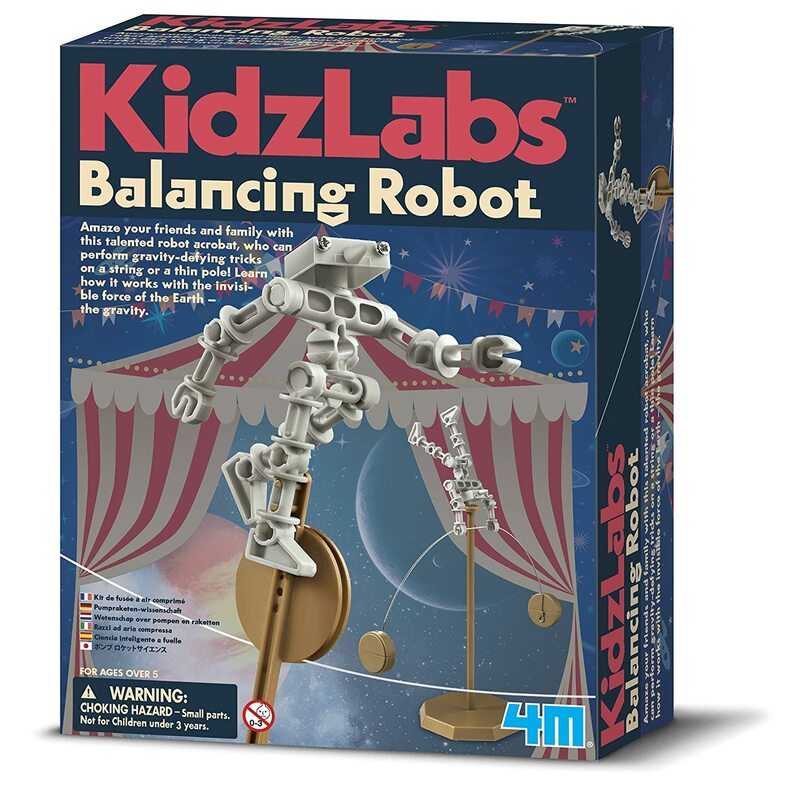 Amaze your friends and family with this talented robot acrobat, who can perform gravity-defying tricks on a string. Learn how it works with the Earth's own invisible force of gravity. The set contains a set of robot body parts, weight capsule sets, an arched bar, a stand set, a unicycle set, string, and detailed instructions. Also required but not provided in this kit are coins and a small Phillips head screwdriver. This item is not recommended for children 3 years or younger.